it is imperative that you make proper research and check the tuition or school fees of that particular institution. 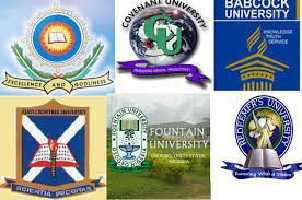 This article contains the current school fees of various Nigerian universities and polytechnics. It is also very important to note that most of these institutions in Nigeria can increase or decrease their school fees without notice,this post will help you to know the estimated amount of school fees you will be required to pay. LASU - N195,000 - N310,000. EKSU - REGULAR- N77,500, PART TIME- N78,000. UNILORIN - FRESHER-N34,000 TO 37,000, (400L- N14900, 300L- N15400, 200L,- N16000). DORBEN POLYTECHNIC,ABUJA ,FULL TIME- N176,000, PART TIME - N220,000.